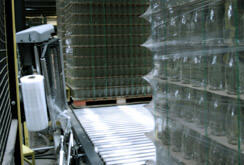 Over 35 years of experience handling all your Packaging & Recycling needs. Arthur J. Ennis, a World War II Merchant Marine Veteran, began his selling career with Royal Typewriter and Columbian Rope before entering the paper industry. After a distinguished twenty-year career culminating to Vice President of National Sales for Mead Paper, Art founded Continental in 1977. Continental was built on a reputation of superior service, technical expertise, and a commitment to excellence. 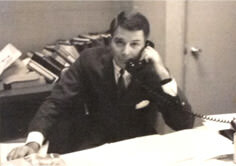 In 1988, Art’s son, James S. Ennis, joined the company. Formerly an English teacher in Taiwan, Republic of China, Jim identified a need for Asian companies to acquire waste paper from the United States to package their products for export. As a result, Jim started a recycling company to compliment his father’s national packaging company and subsequently merged these two companies into what is now known as Continental Paper and Plastics, Corp. This second generation company provides unparallelled packaging and material handing to our national and international customers. In 2010, Allan Johnson, a 30 year veteran in the recycling industry, joined forces with Jim and created Continental Recycling Corp.; an independent broker of waste commodities including all grades of scrap paper and plastics. In addition CRC is also a leading distributor of baling systems including custom designed systems which are all serviced by our experienced field engineers. The Continental Companies working together supply the best in recycling and packaging solutions, including slip and tier sheets, industrial packaging and recycling equipment, a variety of packaging films, tapes, bags and other packaging supplies. Continental stands behind every product sold with the finest Engineering Technicians, Sales and Customer Service team. Continental’s philosophy is to always provide a complete packaging solution. In an effort to take full responsibility for your package, we offer complimentary engineering support to efficiently marry your packaging product to your packaging machinery. Our customers trust Continental with their varied production demands. We quickly respond with creative solutions to any of your packaging, material handling and recycling needs.